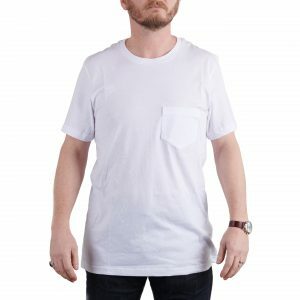 Milo wheres a Small, in height I’m 5.58F, 21″ across the chest. 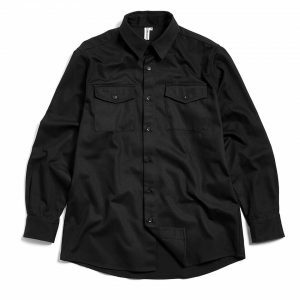 These do come up a little big great for the taller man. 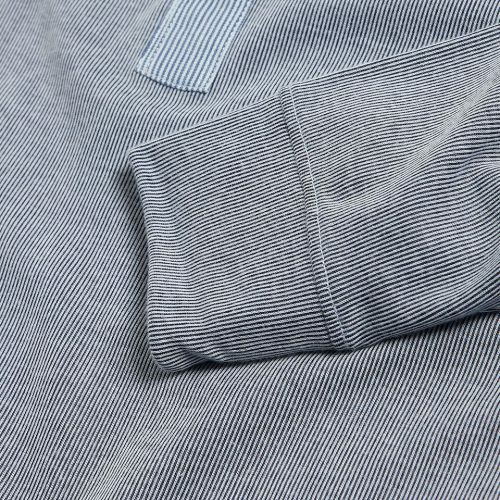 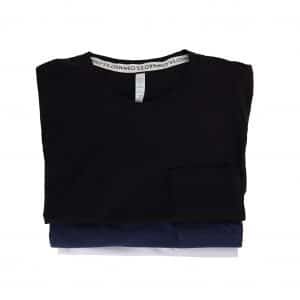 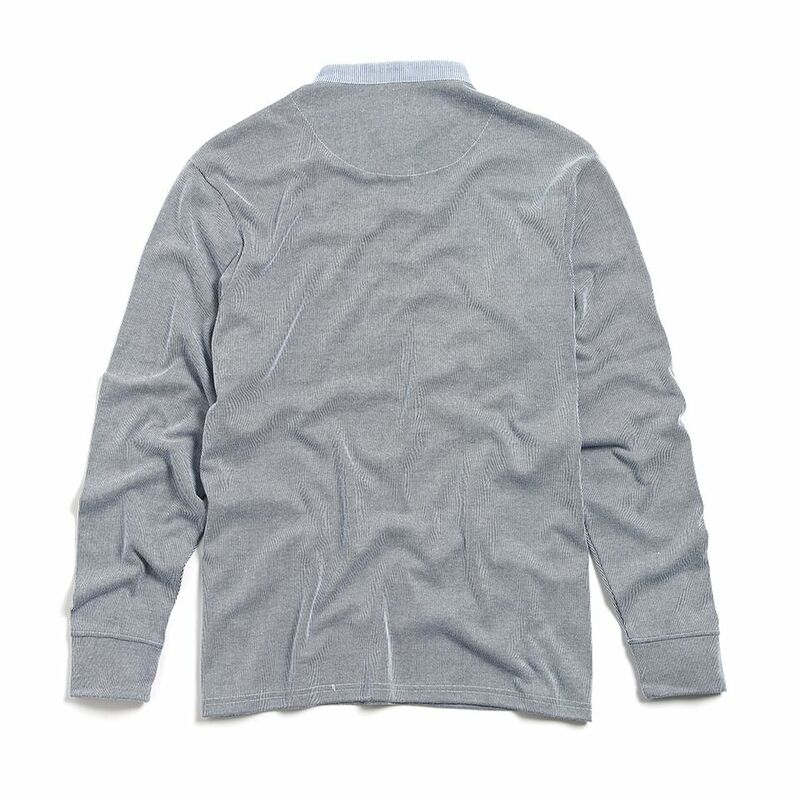 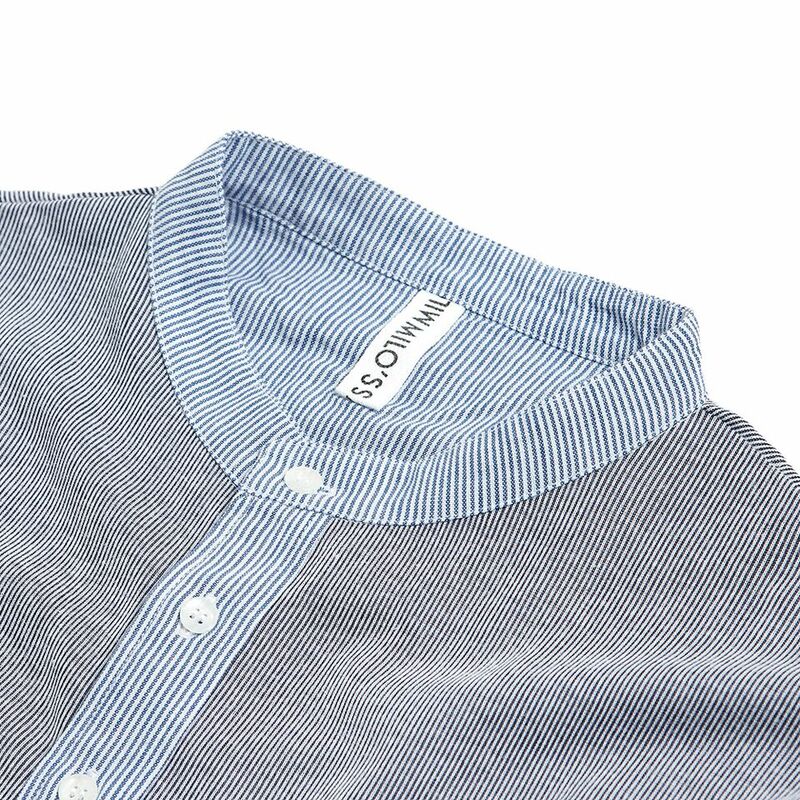 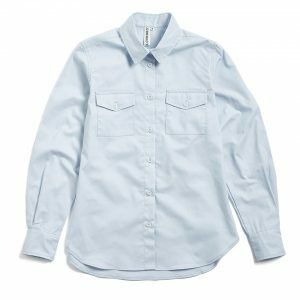 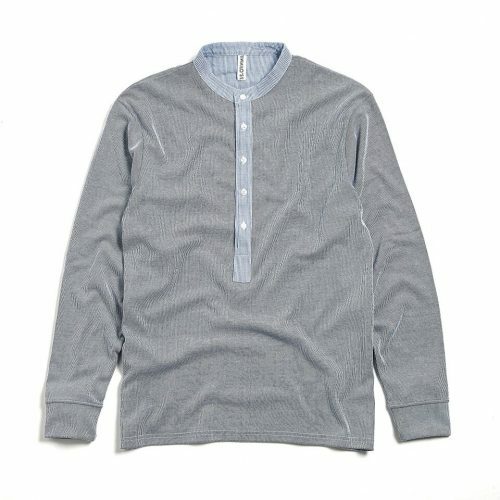 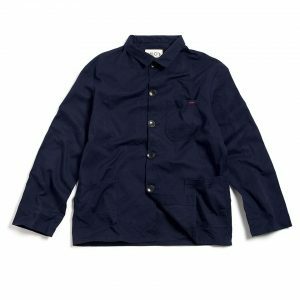 Blue – long sleeved, garment-washed cotton interlock with woven cotton twill placket and collar band.